Photo courtesy of Carlow University. It looks like 225,000 square feet of cutting-edge real estate development will be coming to Oakland. 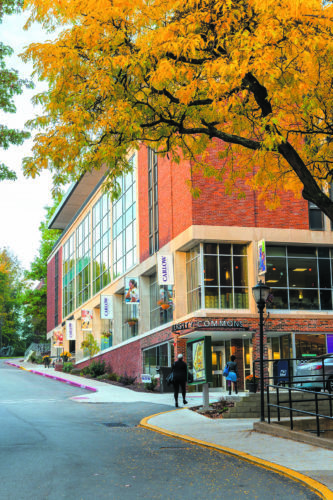 On April 8, Carlow University announced a new partnership with the real estate firm Elmhurst Group to develop a large-scale, mixed-use building on their campus. The development will replace a parking lot owned by the school on Fifth Avenue. For Carlow students, the building will bring 100,000 square feet of new labs, eateries and green spaces. The remaining 125,000 square feet will be offered to startups and companies looking for Oakland real estate. The new building will occupy a space that’s currently a parking lot next to University Commons (pictured here). 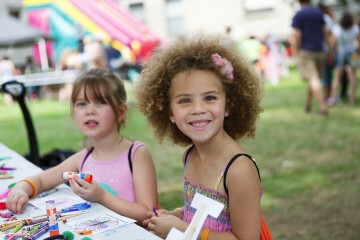 Photo by David Holzemer/Carlow University. The Innovation District refers to an ongoing city project aimed at supporting projects and public initiatives that spread the wealth and resources of Oakland’s tech and research community into underserved parts of the city. 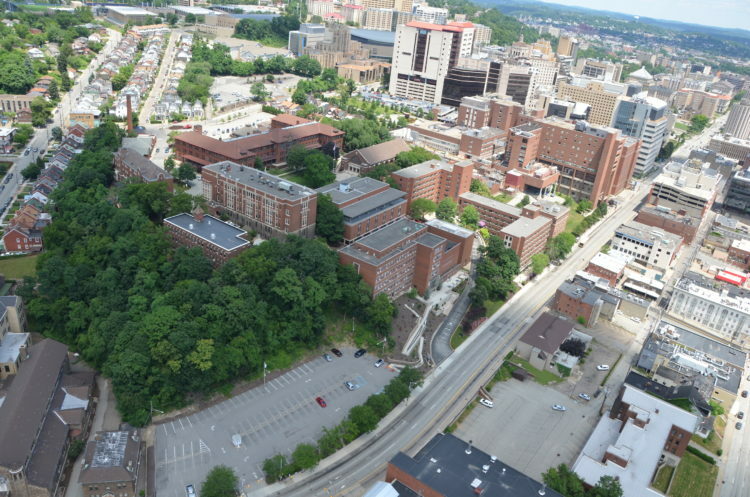 The project builds on work both Pitt and CMU are already doing to extend their research and services beyond their Oakland campuses while steering money toward startups working in these neighborhoods and attracting new outposts of existing tech companies. As the current agreement is only a memorandum of understanding committing both sides to future discussions, no official timeline for the project has been announced.